Can you eat, shop and play local for one week? This is the mantra of LiveLocalKW, an event started by Waterloo resident Juliana Gomez. Going into its second year, LiveLocalKW has gained quite the following. This year the event spanned from September 13 – 19 and attracted 310 participants as well as 80 local businesses. Centered in the Kitchener-Waterloo area, LiveLocalKW creates a way for participants to support the community and gain a better awareness of the businesses and events located right around them. Gomez said the idea stemmed from a local twitter account @peopleofKW that allows residents to take over for one week. “I was thinking what I would do if I took over this Twitter account. How could I make it matter and do something important? What about if I lived local for a week? But instead of doing it just by myself I’m going to get a bunch of people to do it. We’re going to get businesses to give discounts,” Gomez explained. In 2014, the idea turned into reality as the event ran for an entire week. It started mostly on Twitter and has since seen the addition of a newly developed website as a strong media platform. The biggest change with this year’s event was the addition of sponsors. “This year we got sponsors, which was a goal for us. To put money into it and see what it would be like with a bit more backing and seriousness to it,” said Gomez. Local residents were very enthusiastic about the event. Participant Darcy Casselman said the challenge allowed him to promote something he does on a regular basis. 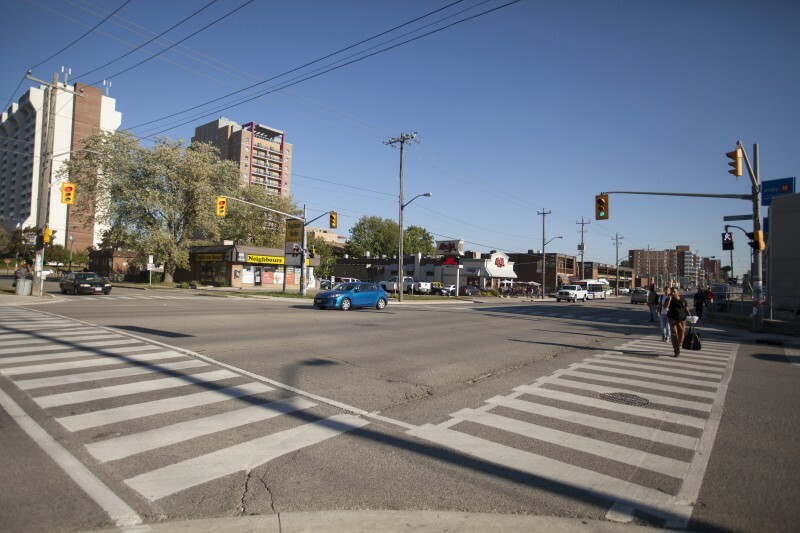 The LiveLocalKW campaign has given local community members a reason to explore various venues in the area. Casselman said he discovered many new places in his neighbourhood since living local. Places such as Bread and Bretzel Basket — a small locally-owned bakery in Waterloo. Gomez has really taken the community driven approach to heart in the undertaking of this project. “We wanted to showcase organizations that are already doing something in K-W. It was really important for me not to start something new or reinvent the wheel. I wanted to showcase people who already have monthly events or weekly events,” Gomez said. The biggest challenge for Gomez this year was realizing the potential this project could have. The addition of more people to help organize the event is something she hopes to add in the future. LiveLocalKW hopes to expand and improve next year when the event marks its third year. Even though having something start from one small idea and flourish into a big success is something not a lot of people can achieve, Gomez credits her community and friends for LiveLocalKW’s success. Thank you @insightpulse for the excellent service today!